1. I used MS Paint for the background, thus the jaggies. I think there might be a way to minimize them by changing the background in sketchup, we shall see. 2. I would like to show the lamp beam, but Paint doesn’t support transparency or that alpha channel stuff. 3. I still need to move the wagon out from the front and park it somewhere near. 4. 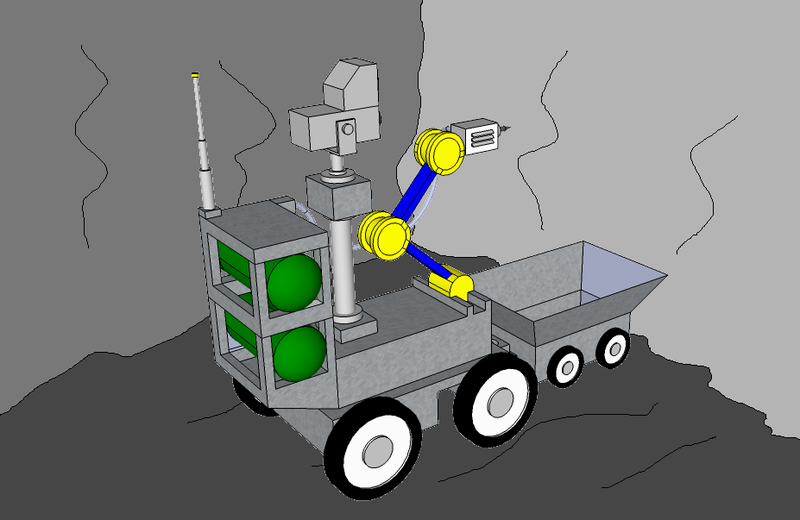 I need to make a shovelbot.